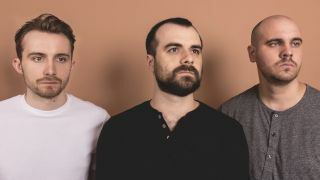 Arcane Roots have released a video for their new track titled Off The Floor. The song will appear on the trio of Andrew Groves, Adam Burton and Jack Wrench’s upcoming second album Melancholia Hymns which will arrive on September 15 via Easy Life/Red Essential. The band previously released the tracks Curtains and Matter from the record. Vocalist and guitarist Groves says: “Off The Floor was the very first time we had ever openly written about politics. “Current world events had become an almost unavoidable weight over us during the writing of Melancholia Hymns and where it would usually be something we would shy away from, it felt like now more than ever that we had a duty to speak up. Melancholia Hymns is now available for pre-order in a variety of bundles from the band’s official online store. Arcane Roots have several live shows scheduled throughout the rest of the year. Find a full list of dates below.